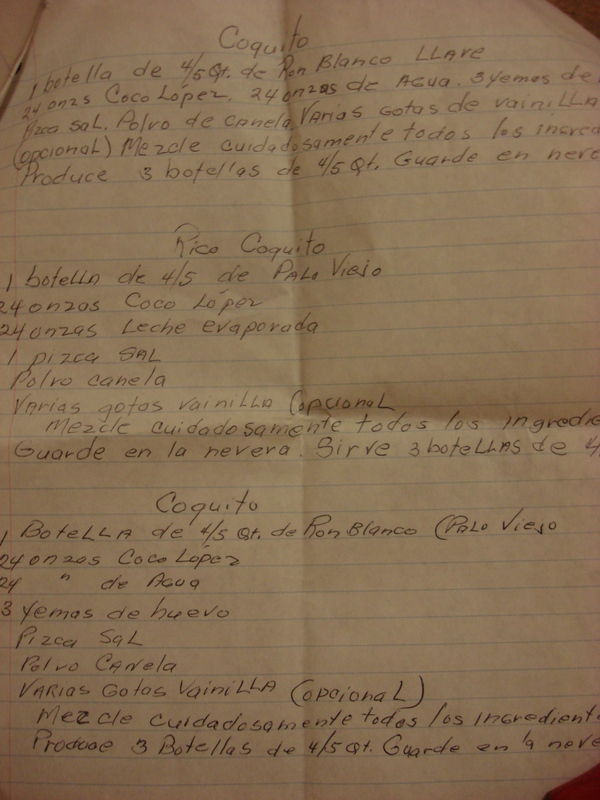 Today’s recipe (thank you to my former San Juan Star colleague Todd Michael Jamison for sending me the original that this is based on several years ago) is quite basic and contains no egg (in the recipes from my great-aunt Titi Amida in the images, she used loads of egg yolks, but she used to get farm-fresh eggs. Now most of us don’t have that kind of access). I like to make a big batch and portion out some into decorative bottles for gifts. 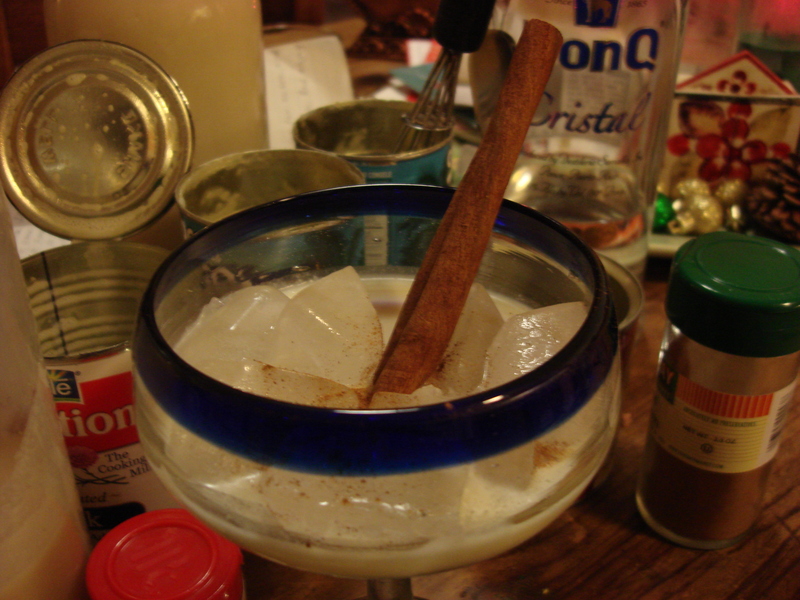 When I actually serve, I add a bit more cinnamon and froth individual servings up with some ice in a cocktail shaker – coquito should be served really cold and the ice thins it a bit too, which I like. 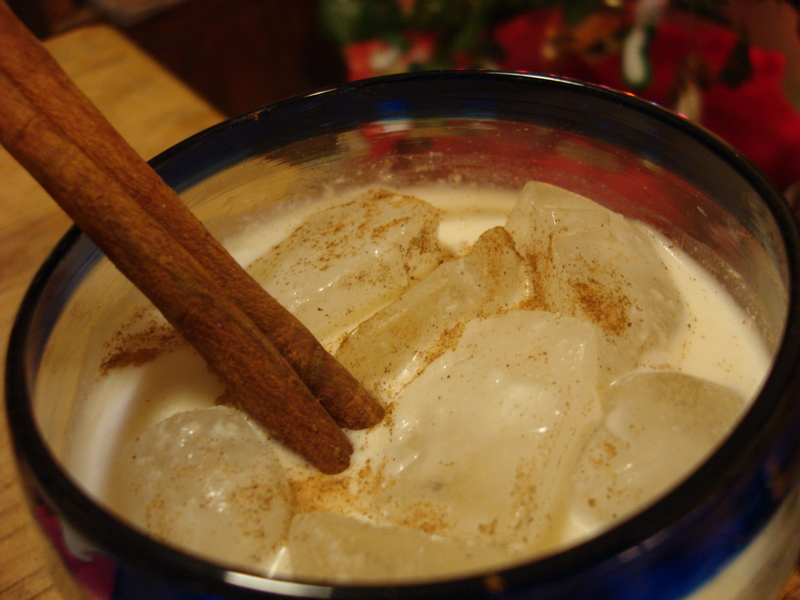 Place all ingredients except the optional cinnamon sticks in a blender and blend until smooth and frothy. Serve over ice with a dash of cinnamon, or chill in an cocktail shaker and pour off into a glass (martini glasses look great as do long vodka shot glasses for aperitifs). Top with cinnamon and garnish with a cinnamon stick. 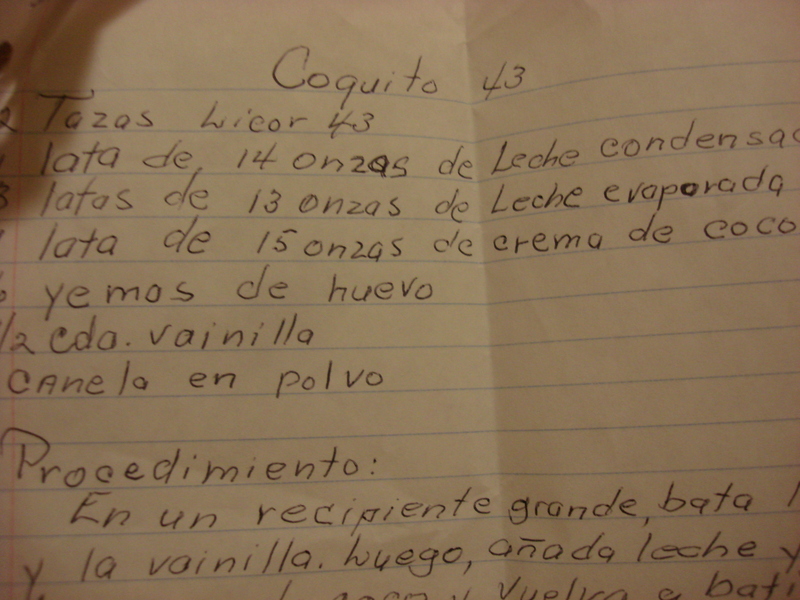 Titi Amida, an accomplished pastry maker, had pages of coquito recipes. This looks amazingly yummy! How long can this be kept for? Hi Therese! I have kept it for a couple of weeks. Any longer and it starts to separate. It is best within a few days. ¡Salud! Just made a batch of this , an it is delicious, creamy with a rum kick, luv it. So glad you liked it! Spread the word….and…¡Feliz Navidad! Looks like I caught this the second time around. (Glad I did!) I’m not much of a mixologist, but this looks like something I can do. Thanks, Natalia! A little bit goes a long way! It’s very rich…and depending on how heavy handed you are with the rum…. 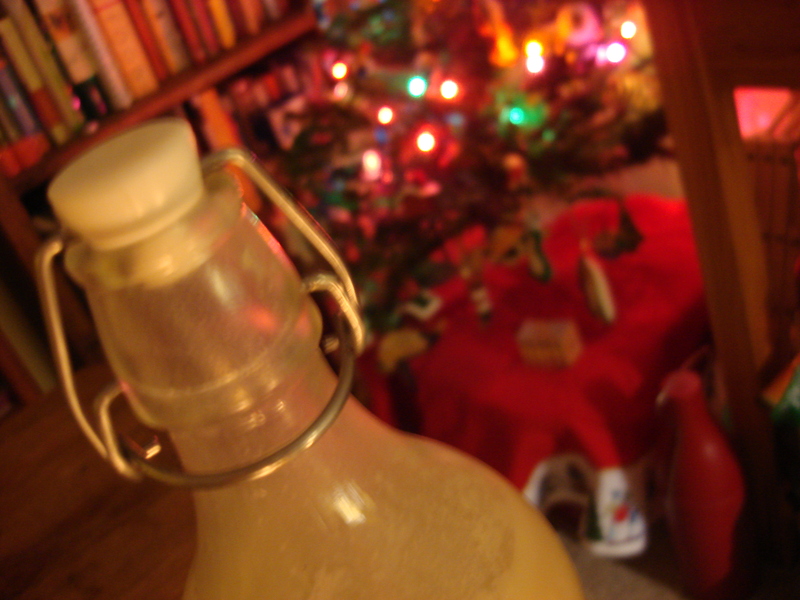 Fabiana brought a jug of coquito to our little house party just before Christmas and I, having lusted after the stuff in your posts, got to taste it as made by a good Puerto Rican girl at last, and yes, it was ridiculously delicious. I felt it incumbent upon me to taste more than a *little* of it, if you take my meaning. 😀 I’ll try out your recipes (which are very close to hers) now, too! Happy, happy New Year to you and your loved ones, and many happy returns of the coquito!! Wonderful that you got to try some! Would love to know Fabiana’s variations! 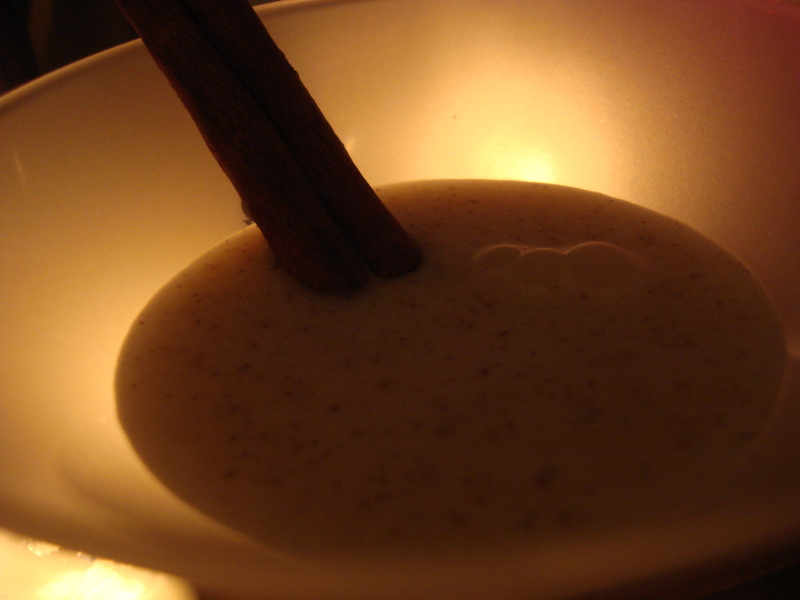 This looks delicious and I’ve wanted to try making coquito for a long time. This might be the holiday to do so! It is super-yummy…also super-rich…for those with a sweet tooth it is heavenly!! For the rest of us…add more rum! Are you suggesting my attitude towards beverages is medieval? Or just that mead would be an excellent alternative? It IS yummy! A little bit goes a long way, I guarantee you that! I would extend the holidays too to be able to enjoy a coquito. 🙂 Have a wonderful Christmas and beyond.